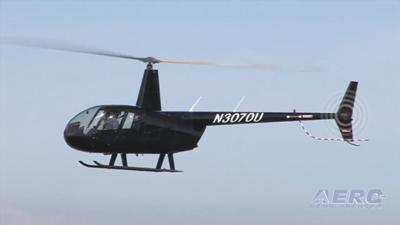 The pilot of a helicopter flying photographers for the Four Horsemen Poker Run in Oshkosh, WI on Saturday was fatally injured when the aircraft impacted power lines and went down in the Fox River. The pilot was reportedly the only person on board when the accident occurred. The pilot was identified as 27-year-old Jonathan D. Bahr from Platteville, WI. He was flying a Robinson R44, according to television station WMTV. Television Station WBAY reports that the pilot had just dropped off a photographer before the accident. The helo struck a powerline which caused the main rotor to separate from the aircraft. It sank almost immediately after impacting the water near the Wisconsin Street Bridge. The accident caused a live power line to fall into the water. Boat traffic on the Fox River on a busy weekend was shut down for nine hours while crews worked to recover the aircraft. Bahr was hired to fly photographers over the poker run, according to the report. The photographer, identified as Pete Borden, who had just gotten off the aircraft told authorities that the aircraft needed to be refueled before resuming the job. The aircraft has been recovered, and an accident investigation has been initiated.